Since I have been under the weather, I watched the ALA Youth Media Awards presentation at home on my laptop, clapping and exclaiming all by myself, except when my husband wandered into the room occasionally. I did not intentionally read for the awards this year, but as a collection development librarian, I was familiar with all of them and had read a good portion of the contenders, so of course I had some opinions. 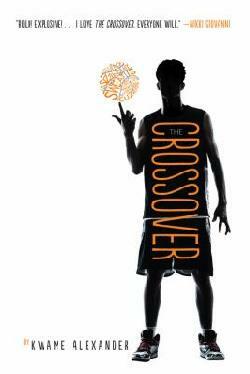 My overriding thought is: “Oh, I am so glad I blogged a review of The Crossover just two days before it won the Newbery award!” My friend is the leader of a Mock Newbery Club, and this is one of her favorites, which is the main reason why I would ever read a sports novel in verse at all. Good job, Martha. Crossover also won a Coretta Scott King honor. My second thought on the Newbery Award is that the ALSC needs to have a big conversation on updating the Newbery Committee’s guidelines on the use of illustration, since El Deafo, a graphic novel, won a Newbery honor. I am delighted to see this very worthy book win an award, but I don’t think anyone else considered it seriously because it really is dependent on the illustrations, which conflicts with the Newbery Award definition. An important conversation to have. In other happy surprises, the Sibert Award went to a picture book! 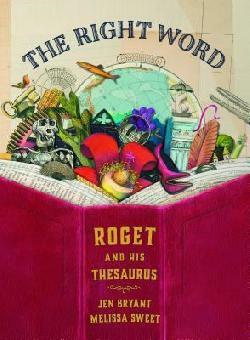 The Right Word was a favorite of mine, partly because it is about the thesaurus. Who wouldn’t love that? It is adorable and extremely informative, which is what the Sibert is all about! On the other hand, I did expect The Family Romanov to win more than just a Sibert honor. No Printz? No Newbery? The Adventures of Beekle would not have been my choice for Caldecott, but my fellow librarian / blogger, Kerri, and her little daughter beg to differ at www.mlreads.com. The Caldecott committee went crazy this year with six honor books! 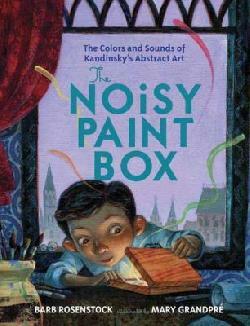 Some of my favorites among them are Sam and Dave Dig a Hole, The Noisy Paint Box (a picture book about the artist Kandinsky), and, again, The Right Word. They even chose a graphic novel for older children called This One Summer! Glad to see graphic novels being celebrated for literary excellence, and the publisher, First Second, is a slam-dunk choice for great graphic titles. Grasshopper Jungle, the startlingly brilliant book that I mentioned in my Reading Roundup (that we all devoured but hesitated to hand to a child), won a Printz honor, and well deserved, too. This One Summer also won a Printz honor in addition to its Caldecott honor. 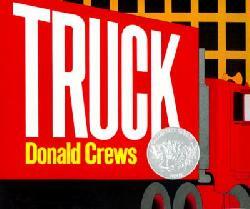 I don’t usually wait for the Laura Ingalls Wilder Award for Lifetime Achievement with bated breath, but any mother of boys loves Donald Crews: Truck, Freight Train, and so many others. Mr. Crews has provided us with hours of enjoyment when my son was young, and I can’t even begin to count the number of times I’ve handed his books to library patrons. Alex Awards are given for adult books that would appeal to teens. There are ten each year, and I am currently reading one: All the Light We Cannot See, by Anthony Doerr (review soon, but I can tell you it’s gorgeous). The other one that I clapped for was The Martian, by Andy Weir, which was fantastic and will soon be a movie! 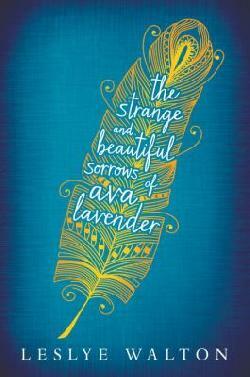 My biggest disappointment was that I felt that The Strange and Beautiful Sorrows of Ava Lavender did not get enough love. It was a Morris (debut award) finalist, but I thought it should have at least received a Printz honor. Well, there’s always next year for Leslye Walton. Also, although I was glad to see Rain Reign, by Ann Martin, win a Schneider Family Award for books concerning disabilities, I would have liked to have seen more decorations on that cover. Lastly, though, how are they going to fit all those medals on the cover of Brown Girl Dreaming? Will we still be able to read the title? Congratulations to Jacqueline Woodson on writing such a beautiful memoir. If you haven’t yet, go out and get this one for yourself and your kids. For all of the winners, go to http://live.webcastinc.com/ala/2015/live/. Now to 2016! I’ve already started reading! Youth Media Award logo from: http://live.webcastinc.com/ala/2015/live/.